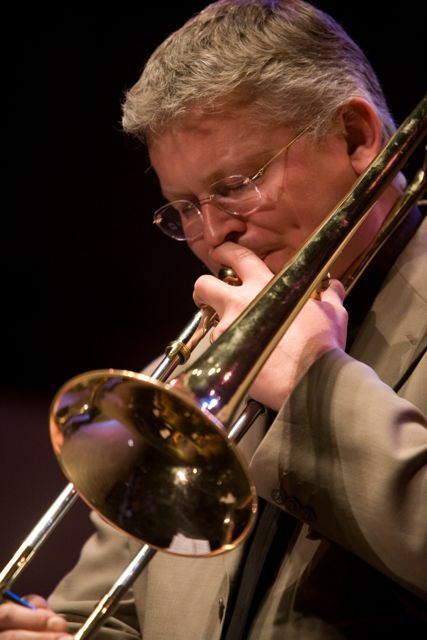 Mark Nightingale has worked with some of the finest artists in the world as a jazz soloist, including Ray Brown, Clark Terry, Scott Hamilton, James Morrison, Incognito and Steely Dan. In the UK he performs with artists such as Cleo Laine, Alan Barnes, Laurence Cottle, and the John Wilson Orchestra. He also fronts several small groups and a big band of his own, featuring his own compositions and arrangements. Mark has produced a handful of critically acclaimed CDs, and has been a multiple award-winner at the British Jazz Awards since the 1990’s. He is also a busy studio musician in London, working on many movie soundtracks and with major artists such as Frank Sinatra, Henry Mancini, The Spice Girls, Robbie Williams and Kylie Minogue. Many younger players know him for his catalogue of educational studies and short pieces published by ‘Warwick Music’, and used extensively in the main graded exam syllabi.